Before I get to the meat of this post, I am showing a bit of my giddy school girl geekiness. Understand, my geekiness is for technology that has existed for years, but the technology is newly in my hands. Ack! I have the technology; I can make it better, stronger,… Wait. Wrong reference. Surely you smartphone folks are familiar with Bluetooth. I never paid much attention to the word “Bluetooth”, because nothing I owned offered it. My work laptop has a “Bluetooth” icon thing in the top banner thing-ga-ma-bob (it’s a Mac), but I was oblivious to what it was or did. Enter Christmas time. I wanted to upgrade my cell phone to the 21st Century. No, I wasn’t going all crazy and joining the smart people – er – smartphones. Rather, I was just looking to get a phone with a keyboard, so I could stop pressing the numbers multiple times to get to one specific letter. While I don’t text much, I dreaded receiving texts from others, because it took me close to two hours to respond, due to the lack of a ‘keyboard’. So, the phone, a Samsung thing-a-ma-bob, comes with Bluetooth. The sales person was telling me all about it, and I just smiled and nodded, clueless as to about what she was talking. I’m polite like that. Then, on one random day, I took a picture with my new cell phone. I got the typical wire and connected it to my laptop to transfer the files. I cannot tell you how I figured out what Bluetooth could do, but I can tell you I figured it out – and I only connected the wire to my laptop once. Now, I can send the pictures from my phone to my laptop with the Bluetooth. ACK! BLUETOOTH! I select the pictures, click send via Bluetooth, and BOOM! The pictures are being sent through thin air to my laptop. It’s as if I am living a scene out of Charlie and the Chocolate Factory! I even look around to see if I can see the particles in the air, as they travel from my phone to the laptop. ACK! Is it ever cool! Where was this technology when I was in the midst of my Project 366:: A Photo A Day? Oh yeah. It existed, but I just wasn’t in possession of the power. But now… now I have the power. My pictures do not have the quality of my antique camera, but come on – sending the pictures through thin air? Who needs quality? Last night, Rob and I went to a neighbor’s house and enjoyed a night of apps and drinks with three other couples. The boys spent the night with Grandma and Grandpa, so Rob and I were free to come home as early or as late as we wanted, as well as wake up as early or as late as we wanted. Though our dogs did not get the ‘as early or as late as we wanted’ memo, and they had us out of bed before 7am. This morning, Rob sat at the dinner table with his laptop trying to find a solution to our latest car transmission issue, and music played in the background. Let me be more specific, music came through the speakers of a Boom Box. Let me be even more specific, music came through the speakers of a Boom Box via a cassette tape made in 1991. 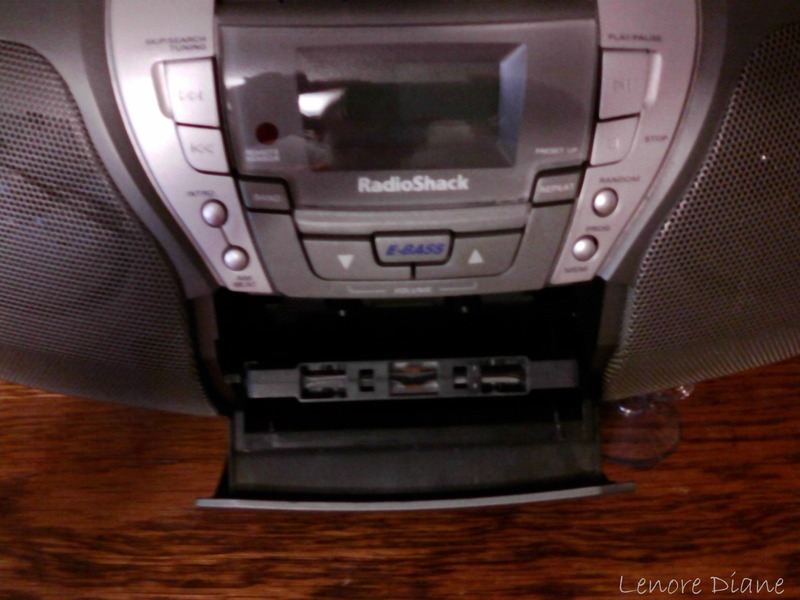 I’ve included a picture of a Boom Box, as well as the cassette tape portion of the Boom Box. And, yes, I am using capital letters when I spell Boom Box, because I respect the antique. Alas, I digress, for this portion of my post is not intended to highlight the Boom Box or the cassette and cassette player, though both demand top billing and respect. What a wonderful morning was being had by me, Rob, and the dogs. Then a feeling of regret came over me. As I was (and am) enjoying a kid-free morning, I thought about my parents who never enjoyed a kid-free morning. My Mom and Dad, parents to six kids, never had the chance to wake up at their leisure and enjoy a morning at their leisure without having rugrats running around the house. I am certain, if I called my Mom and asked her if she wished she and Dad had a kid-free night/morning she would laugh and say, “We didn’t even think of things like that.” Sure, she would have enjoyed it, but their generation was not about freedom and self-indulgences. And yes, I do believe a night out with friends is self-indulgence. Not an extreme one, mind you. And, I do not mean it is a bad thing. I simply realized this morning that my morning freedom is truly a luxury, and it is not something that is a ‘given’ or even ‘deserved’, if that makes any sense. Are kids better off today because more parents have the luxury of going out and having kid-free time? Are marriages better off today because more couples have the luxury of going out with their spouse? I don’t know. What I do know is that I have many friends that do not get to get out and enjoy a kid-free night, let alone a kid-free morning, and these friends are doing fine. Although I believe that if they were given the chance to enjoy a night/morning without the kids, they would take it. Especially if money was not needed to enjoy the freedom, because sometimes it is financial reasons that keep us from such self-indulgences. Perhaps that is why my Mom’s generation didn’t even think about kid-free nights and kid-free mornings. Money was tight. For the most part, people lived within their means, focusing on the family rather than themselves. It’s not a bad way to live, really. Frankly, the United States needs more families living within their means. Still, I am grateful for our kid-free night and morning, and I am sad my Mom and Dad did not get the chance to enjoy it first-hand themselves. Now if you’ll excuse me. While the house is still quiet and I am awake (two things that rarely happen at the same time), I am going to snuggle on the couch and read a book. And that, my friends, is a luxury my Mom and Dad were able to enjoy, and my Mom still does enjoy it. You might have the same Samsung thingy that I do. It’s not a smart phone but it has a keyboard. Touch screen? But we kids longed for some parent-free evenings. The oldest of the kids were old enough that they could have “babysat” us younger kids, and my parents could have gone to see friends or even gone to a movie (money was tight but they certainly could have managed a movie once in a while), but they never did. I think it’s important for couples to have some kid-free time so they can focus on each other and themselves for a little while. It keeps a balance that is important for their own sanity, and probably for their kids as well. Happy parents are better for kids than stressed, harried parents. But some parent-free times I think is just as important for kids. They can start to get a sense of independence or start forming an idea of their own identity. It gives them different experiences and fun memories, too. The book was such fun, Leonore. I’m recommending it to everyone. “Mr. Penumbra’s 24-Hour Bookstore” by Robin Sloan. I am not an avid reader, in fact – I am a slow reader. But I gobbled this book right up. What fun I had reading it. I agree with everything you said, Leonore. My parents had nights out, once my siblings were old enough to babysit. But, my parents never had all-nighters. And, I think having a quiet and slow morning is such a wonderful gift. When I had Noah and my mom would tell me, “It’s a kid-free event” I would get upset with her and remind her that I had my child to be with my child and I don’t want to pawn him off so you can have an all adult evening. This was when Noah was tiny and it offended me. I still believe that if I can never have a night out without Noah it’s okay and acceptable and wonderful because I had him to be with him, not to give him to others. That being said, we do leave him with others sometimes because we enjoy our time alone and Noah enjoys his time with others. I always feel a tiny twinge of guilt, though. Last night my mom offered to keep Noah while we went to dinner for my birthday (thank you for all you did by the way) and although I am positive Noah would have loved being with his grandparents I couldn’t imaging spending my birthday without him. Thank you, Kim. I don’t like the idea of spending my birthday without my kids, either. I want them there for the celebration, just as I want to be there for their celebration. I don’t blame you for passing on your Mom’s offer, though it was a nice offer. I do think it does the parents and the kids good to have time apart, on occasion. Not frequently. What is this bluetooth thing of which you speak? I have a smartphone but have no idea about how to use this feature. This is not the first time I’ve realized the phone is smarter than me. Like your parents, I can’t remember my mom having a kid-free night / morning, until we were old enough to go on sleepovers, etc. I’m glad that you and Rob are enjoying your time as a couple. It’s nice to be able to reconnect. And add “Mr. 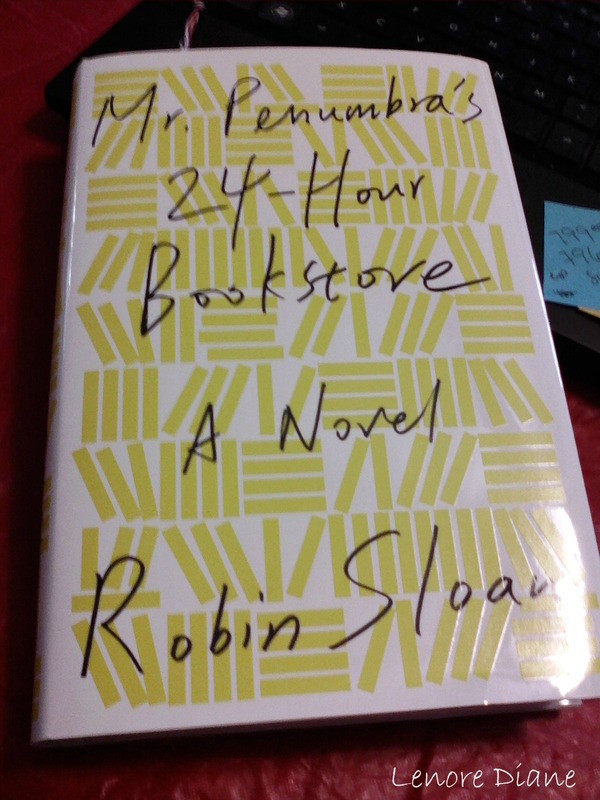 Penumbra’s 24-Hour Bookstore” by Robin Sloan to your ‘must read’ list. I’ll even send you my copy if you’d like. Seriously. I started it today, and I finished it today. Fun read. I saw that book in your post and it looked so interesting! I’ve added it to my TBR list. Thanks for the recommendation. I have got to investigate the whole bluetooth thingy. I see I have it on my phone. and the I Pad. Maybe I’ll go over to the phone store and have one of those teenagers show me what’s what. It’ll be interesting to hear your perspective on old-school v. technology after reading that book! HC, I gobbled the book up in one day. I started it today, and I just finished it. I loved the mixed of OK and new knowledge. 🙂 I am so thrilled you tweeted the recommendation. In all sincerity I pull from the last sentence, it was “..the right book exactly, at exactly the right time.” What fun, what fun, what fun. I thought the same things as Hippie about the apps! ha! Well, Lenore, I think having time away from the kids is a good thing. Having said that, I have never spent one single night away from e kids. I know, that is SAD. I think we are long overdue! Maybe this year we’ll have to try it. I personally thing you should never feel guilty for wanting alone time. Good for you guys. I have 2 boom boxes like yours (plays cassette tapes and CD’s) that I use mostly to play CD’s. 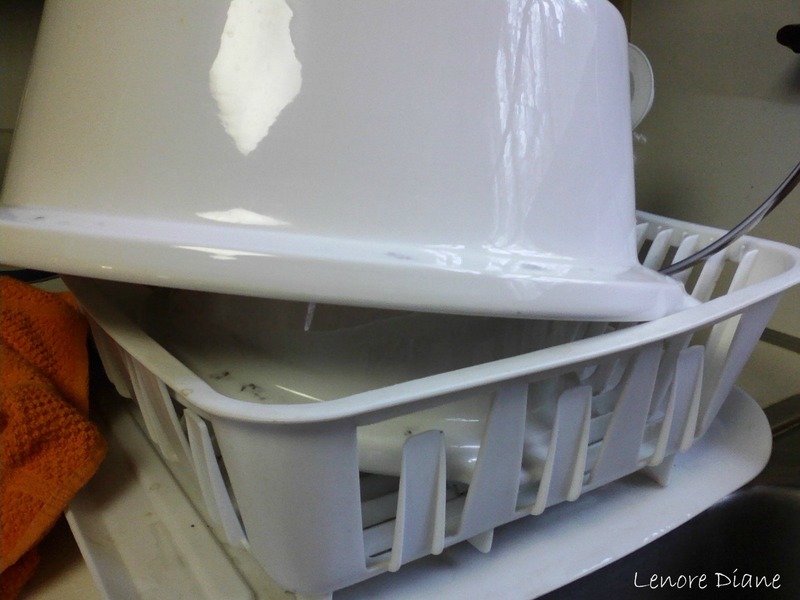 The one in the kitchen is used most. That one is even used to listen to the radio on a regular basis. (In the first paragraph of this post, all that was missing was the theme song to Bionic Man). As for going out for the evening sans kid, or having a night at home with no child, the only time that happens around here is on the rare occasion that our son has a sleep over at a friend’s house. As for bluetooth, where I live they have laws about talking hands-free on your cell phone in the car, so I have a speaker that clips onto the visor. It connects to my phone using bluetooth. I’ll have to see if I have it on my laptop, to transfer photos from phone to computer that way. Thanks for the tip. Sleepovers was not something my parents experienced – not all the kids on the same night, anyway. I am glad you get all-nighters, rare though they may be. Having a quiet morning is such a great way to recharge. Oh goodness…talk about timing. My flip phone samsungy thingy finally cratered this week. All I wanted to do was get to the weekend when I would have time to go to the VZ store (Rick is retired from GTE-VZ) which explains the plug….anyway to get the long overdue upgrade and luxury of all luxuries a phone with a keyboard! Anyway, my phone didn’t make it to the weekend and now I’m “capturing” all the numbers I can. On fb I just stated…please call me so I can capture your contact info. Glad you had a kids free weekend — hands free phone — comes to mind as I write this too. Cool reflection on those who can enjoy those weekends and those who couldn’t/can’t. My parents enjoyed the luxury of a babysitter going out to play bridge on Saturday nights. I think it was a good thing for them and we loved our sitters. It made for a lot of interesting conversation the next day. Love your posts. They meander in ways I can relate and nod to. Thank you for reading, Georgette. I am grateful you appreciate my meanderings. The church my mom and I attended the longest had Wednesday evening “kids night out,” which I understood on some level was really “parents night out.” My siblings and I loved it, and I am sure my mom loved it too. I think that was the only time she ever really got off. I had totally forgotten about this until I read your post. I wish I could ask her what she did with that time, but I am glad to remember she had it. This post comes eerily timed in light of my expected next post. I am grateful for how the grammas give Anthony and me some time to ourselves every couple of weeks; that has been essential to me and Anthony, with our so-divergent sleep schedules, chance to actually be together. I talked with a neighbor Friday; she said that after two years without a single date night, she no longer remembers having a spark with her husband. He is the guy she is raising her kids with. Anthony and I were getting to that place almost a year ago; we almost called it off. We opted to give it one more week, a decision I am grateful for. So grateful. I know we make do with what we have, and what we can. I am so glad for couples that find their way even with no time off, as it were, but I know that without it . . . I forgot to see my SO for what he was, and began to see him only as my co-parent. I am glad also that is a state of things that no longer exists, and you can bet I will be babysitting my neighbor’s kids in the near future so she has a chance to remember the way I did! Great post! I love the Bluetooth realization. My car has Bluetooth so I can play music through my phone — or more often audiobooks that I’ve downloaded. It’s pretty awesome. As a kidless couple, it’s sometimes odd to watch friends with kids. Sometimes we feel badly that it’s something we never had the chance to have (the Beloved and I met late in life), but sometimes we just pack up the car and go places without a thought. I can’t remember my parents ever having a kid-free night (well, until we were all out of the house) — but I think they would have enjoyed it. Though my brother has just become an empty-nester — and I can tell you that he’s NOT enjoying it! Welcome back, Lenore. It’s refreshing to take a break once in a while. Sounds like a fun time-out for all, kids included. Do you think “Charlie and The Chocolate Factory” would be good to read with my 8yr old granddaughter? If she has not read it already, yes Maxi – I think she would enjoy it. Roald Dahl can be a bit rough with language, but his stories are rich and wonderful. Let me know if she likes it. Thank you so much for the quick response, Lenore. Can’t wait to read this with Brittany. I’m so glad you got to enjoy a kid-free day. I cherish those days. They are gifts that help charge my batteries. Sometimes I think it’s as good for the kids as the parents to have a break. I was just like you. I had heard the word “bluetooth,” was even sitting on devices that possessed it, but I had no earthly idea what it could do. For me, it turned out to be wireless headphones where I can listen to music from my computer even when I’m in the kitchen doing the dishes. Pretty cool! Do you see the particles of sound traveling in the air before it reaches your headphones? I swear I look for particles every time I send pictures via the bluetooth. I’ll find ’em one day.